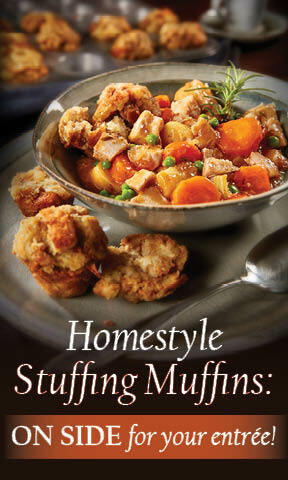 Our Stuffing is great baked with any gravy in a warm and savoury muffin side dish. Perfect to compliment a hearty chicken or turkey stew…. 2. Mix together all ingredients, and fill muffin cups. 3. Bake for approximately 30 minutes.